You may or may not be aware, but at some point in the next few years there should become available some of the best television viewing for some time. To date this should start around 2023. It will be across between Big Brother (which MTFTM unreservedly condemns), the Moon Landings and The Cable Guy, the 1993 film starring Jim Carrey. Basically we are talking about the already commissioned project to take human beings to Mars, to colonise the planet – Mars One – and part of the funding for this will come through a reality television type show which will document the astronauts as they settle on Mars, a whole other world. They say that the bigger the technical advancements and the closer they get to the launch of the mission, then the more media exposure will be given to it. Mars - coming to a television station near you soon? Mars One has also recruited the services of a prominent figure in the Big Brother takeover to televise and indeed document what, if it does go ahead, would be a truly historic moment , no doubt. The money raised through this would go to keeping the mission going, sending out more astronauts and supplies and maybe, one day bringing them back home – yes you did read that correctly – that’s the deal! 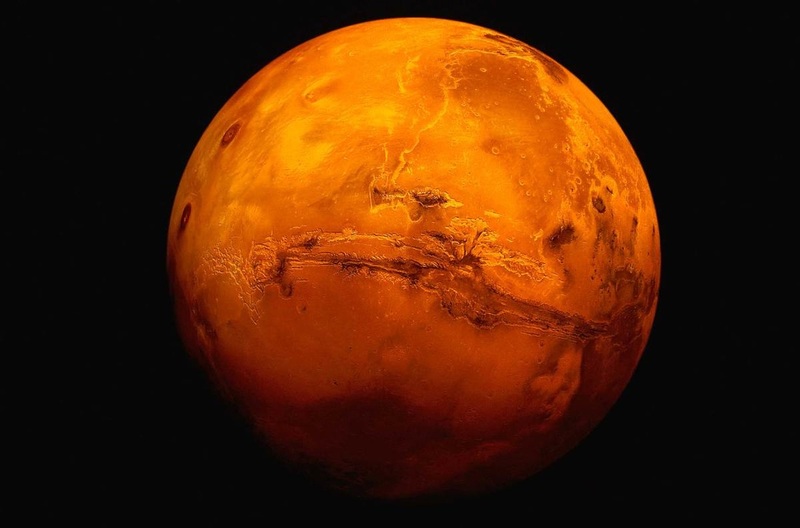 That’s why Dutch entrepreneur, Bas Lansdorp, claims his company can get humans to Mars seven years ahead of NASA’s projected claims of achieving this in 2030. 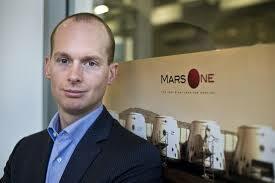 Whereas NASA will offer a return ticket when they venture on to the red planet, Mars One doesn’t – at least not yet. Essentially Lansdorp stresses that the business model is what is holding the manned missions to Mars back and not the technology. With this in mind Mars One is a one way mission. Once you are there, you are there for the rest of your life. Scary, right? Millions of people have applied for this though and with perspective astronauts already selected – and we are talking serious minded, level headed people here, some of which are prepared to leave spouses and children – it seems barring some intervention, this is going to go ahead. It is worth noting that there is plenty of opposition and criticism of the plans. But as this is a privately funded venture it seems they have, in theory got the green light. One of the problems of a mission to Mars would be having a craft that could carry enough fuel to make the return journey. Unless of course there is a fuel or energy source that NASA has up it’s sleeve, and if they do it is doubtful that Mars One have access to it. So is this serious? According to Lansdorp, he and his business partners are very serious. "I'm a real entrepreneur. If it wasn't possible, I wouldn't spend my time on it. I truly believe it will happen, " he stated to the BBC. You can read the full piece here. Ok, so what will happen? Of course, no-one knows – that in part is why if the mission goes ahead most people will be enthralled by it. How could we not be? Through science fiction films and books we have been primed for this all our lives almost. If you care to check out our Ancient Astronauts article, then you will see this is where the history repeating itself aspect comes in, at least in line with that particular theory. What would happen if these settlements indeed were made and developed over many years? Would communication and transportation to and from Earth still happen? If so, how often? At the moment it is only viable to travel every twenty six months when the two planets’ orbits are at their closest to each other. What if it didn’t continue? For whatever reason, what if those that were left were suddenly completely cut off from Earth? Over the following hundreds and thousands of years what would that society know of its origins? Would they know that they were humans whose ancestors had traveled from Earth, another planet, to begin life on Mars to benefit science and our understanding of the Universe? Or would they be told a different story? Would their ancestors suddenly be divine in nature? Perhaps Creators of the Martian race? Would that maybe explain to these Martian natives why in the beginning of their “time” there was much technology and such (when there might have been regular supplies from and contact with Earth) whereas now, in a time when the Gods do not walk among the people (maybe because the original settlers had died out) there is no such technology or food aplenty. Maybe they would document this for their future generations? Maybe using the ancient language that the Gods used many years before? OK, so we are getting ahead of ourselves a little here, but I think you get the idea. 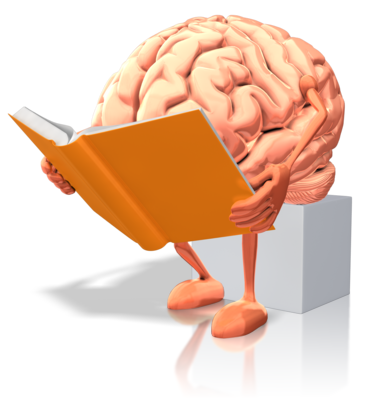 But what of the more serious and certainly immediate aspects of it all? If the missions go ahead and settlements are made, for these to be a permanent settlement then the idea of reproduction has to be put into effect. Would this be in the conventional way, as nature intended if you will, or would life be made in a lab in much the same way IVF treatment would happen? 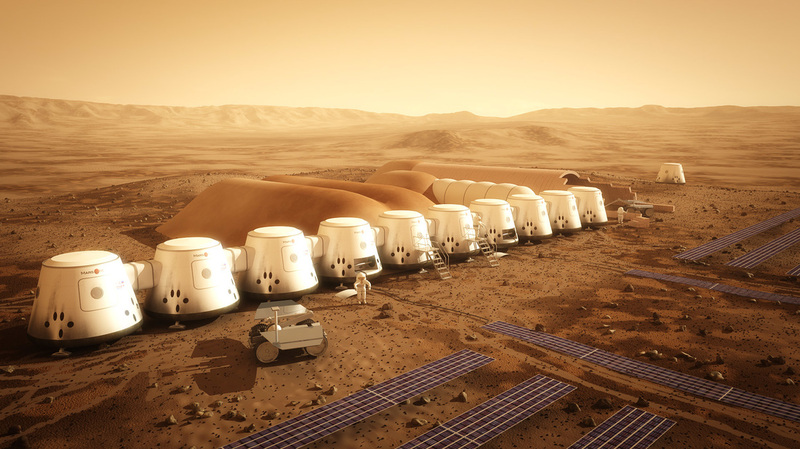 Would this be done on a large scale to “kick-start” life and the Martian people? Would they still be humans if they were born on Mars or would they be Martian? Also how would they live? 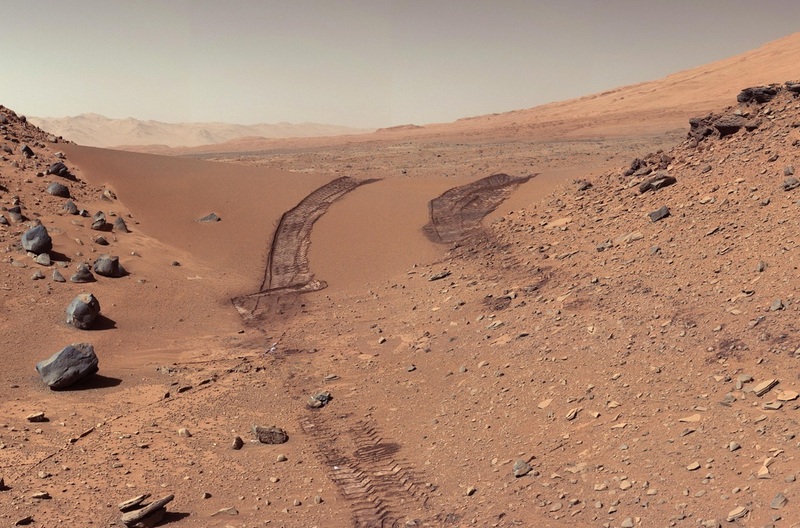 Barring a change in the atmosphere on Mars, living would be confined to thick artificial structures, or deep in underground caves or lava tubes away from the harsh environment – research suggests Mars does have many of these lava tubes. Who will “own” the land that is colonised and under what law would they operate? Indeed would a new law have to apply and be written? What if another privately funded company wanted to undertake a similar operation – whose law do they follow? Would there have to be boundaries drawn up and in so doing creating the first Martian “countries” and states? What happens when NASA do get there? Will it be a case of “the big boys are here now, move over son!” or again will they have to operate on their “own”piece of Mars? Maybe in space travel everyone would idealistically work and exist together in peace – hey who knows, stranger things have happened! What if they couldn’t though? Would we have a real star wars battle taking place on the red planet? With this last point in mind perhaps the already agreed International Space Law would be the best option – most countries are signed up to this. You can read more about that here. And what about, depending on what you believe, what is already on Mars? Would they be able to examine any of it? 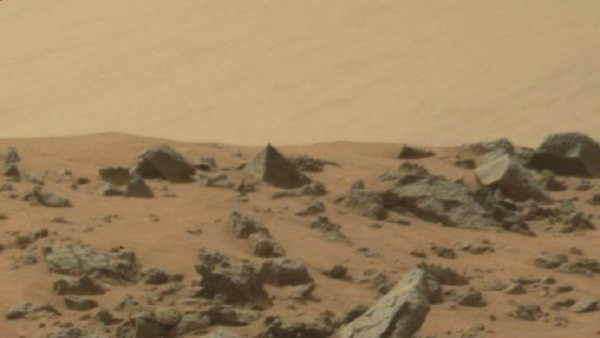 Would they come across the Sphinx on Mars or the Mars Pyramids? 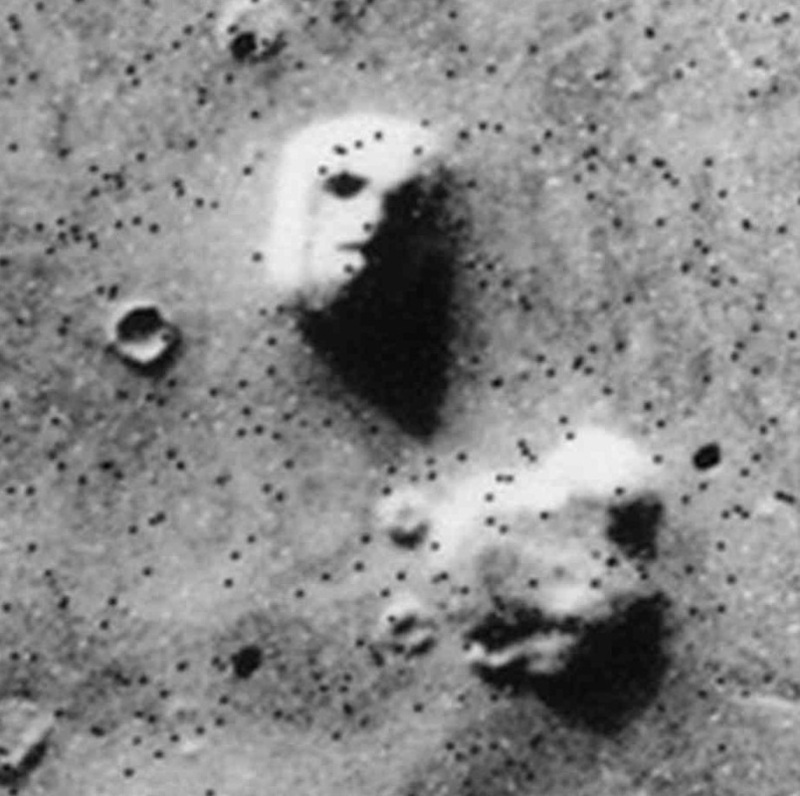 How about the Face on Mars? Remember some people aren’t buying the trick of the light story! And would we even buy into it anyway? 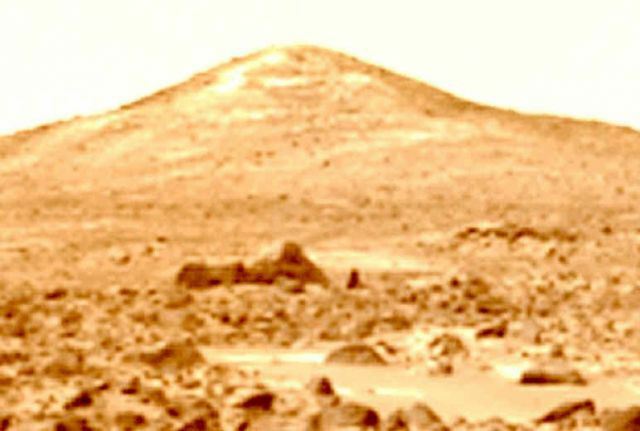 You can guarantee that as soon as the first person did set foot on Mars, whether on it’s surface or in an artificial structure on Martian soil, will the first conspiracy theories begin. But that’s half the fun, right? ​From Pripyat To Point Pleasant – Birdman Creature A Harbinger Of Disaster? A basic beginners guide to The Ancient Astronaut Theory. How Real Are The Legends And Realities Of Skinwalker Ranch? Arguably one of the strangest stretches of land on the planet, what are the legends and truths of Skinwalker Ranch?